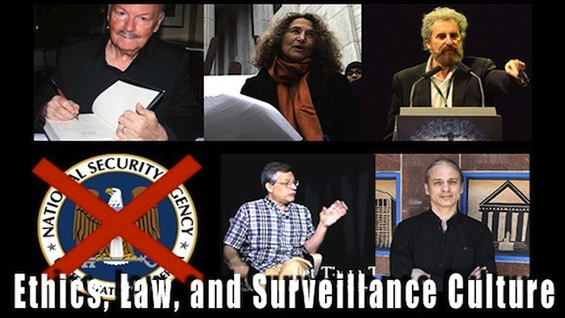 In the light of recent revelations around the National Security Agency PRISM program, a panel of journalists, civil libertarians and human rights experts will present the long history of domestic spying by government agencies, private sector cooperation, and the legal, ethical and business challenges of defending and preserving liberty and constitutionality in cyberspace. RSVP to greathallevents@freethe.net OR on Facebook if you would like to be contacted about future related events. For a reserved front seat, please help fund the hotel and travel expenses for the speakers by chipping in at Crowdtilt, or in person at the door. James Bamford -- Investigative Journalist, Expert on NSA and Author of "Puzzle Palace", "Body of Secrets", "Pretext to War", and "The Shadow Factory"
Stanley L. Cohen -- Human Rights Activist, Criminal Defense Attorney, Legal Counsel to Anonymous "PayPal 14"
Paul DeRienzo -- Journalist, Educator, Radio and TV host of "Let Them Talk"
Presented by The Cooper Union Entrepreneurship Society and The Cooper Union Alumni Association in association with the MIT Enterprise Forum of New York City.